Rethinking Faith and Church: Baby or Fetus? Does Government Department Decide? Baby or Fetus? Does Government Department Decide? On a recent out of town business trip, I went for lunch with an old friend who happened to live in that town, and we decided on a little local bar as our eatery of choice. We had a good lunch and as always, nice time of fellowship. It was sponsored by the AGLC (Alberta Gaming & Liquor Commission) and apparently mandated to be displayed in all bar rooms and drinking establishments in the province in an effort to reduce the risks of FASD (Fetal Alcohol Spectrum Disorder). All in all, a good message that needs to be heard. 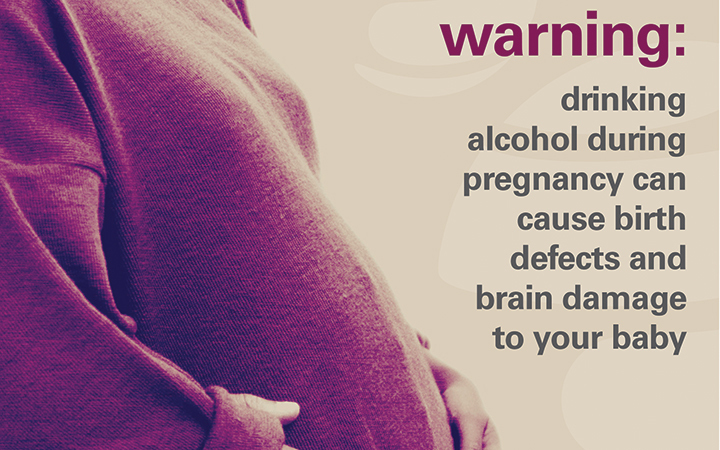 Like drinking and driving, FASD is completely preventable. However, as we thought about that message, we also found ourselves thinking of another message that another branch of government also regularly espouses, namely the apparent refusal of healthcare to identify the unborn baby as a “baby” at all. They seem to prefer the term “fetus.” Could it be that the reason they do so is because to label the unborn as a “baby” would be problematic for the pro-abortionists? And since it’s the medical field that performs abortions, well, draw your own conclusions. It’s a potential hot potato to say the least. As we thought about this still further, it occurred to us that the terms governments use, “baby” or “fetus,” seem to depend in large part on the message they want to convey to the public. If the message is that it’s perfectly OK and acceptable to abort the unborn at any stage of pregnancy, then they will have to refrain from calling the unborn a “baby.” To do so would simply leave too much of a bad taste in society’s mouth if they thought that the government had legalized the abortion, and thus by default murder, of babies. The term “fetus” tends to de-humanize the unborn, removing much of that sting, and as such makes the whole thing more socially acceptable. In the same way, the message of the AGLC’s poster is to reduce the risk of side effects from alcohol consumption by pregnant women upon their unborn. 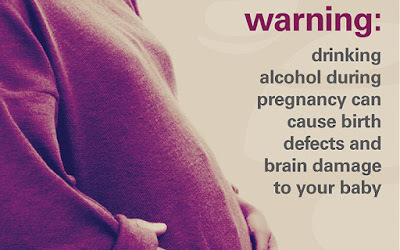 If they had simply chosen to say, “Warning: Drinking alcohol during pregnancy can cause birth defects and brain damage to your fetus,” it would have carried much less of a punch and not conveyed the same urgency in its message. In such a case they might as well have said, “Go ahead and drink, ladies; it’s just a fetus, a mass of tissue. After all, if there’s a problem, you can always abort it later on.” In such a hypothetical poster, the true message they wanted to convey would be lost, and the government would probably have been better off not putting forth any advertising, because then if nothing else, at least they would have saved some taxpayer dollars. While in some ways we might be tempted to blame governments and others with political agendas for often propagandizing this whole unborn debate in one way or another, the real question is, what message does government want us to hear? Ultimately the language and terminology they use will reflect that message. That was an interesting discussion that day. Early in our lunch hour my friend mentioned this strange dichotomy to the waitress as she poured our coffee, and for the rest of our time there that day, every time she passed that poster, she seemed to pause and reflect on the government’s somewhat ironic message in the bar room in which she worked. Maybe she never thought of an unborn as a “baby” before. Maybe our discussion sparked a little rethinking in her mind as well. It certainly did in us. Excellent thought. Don't mind the pun ... But it's all in the delivery.